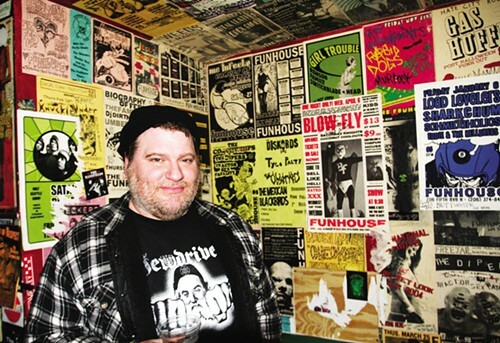 After a long search and some setbacks, Brian Foss and Bobby Kuckelburg will reopen the Funhouse—the popular punk/metal-oriented dive bar that folded in 2012—in Eastlake Avenue club El Corazon‘s lounge space on April 1. Foss and Kuckelburg will become joint owners and managers with El Corazon’s Dana Sims, with all sharing equal ownership of the company and the building itself. The new Funhouse will be open for happy hour seven days a week, with Kuckelburg—who also owns the nearby Victory Lounge—assuming control of the bar and kitchen. Foss will book shows in the Funhouse, which has a capacity of 200. El Corazon’s main room can hold 800 people.